While you’re marching on Earth Day at a science march near you, take your earbuds and listen to Emil Amok’s Takeout. I mean, you’re going to march, aren’t you? If you’ve doubted that the environment is a racial justice issue, listen to Miya Yoshitani of the Asian Pacific Environmental Network (APEN) talk about how the Laotian community in Richmond, California stood up and fought a big refinery that sent pollutants into their lives–for more than 20 years. It’s been an ongoing battle, but how APEN fought Chevron and made it take the community seriously remains one of the truly inspirational stories of the environmental justice movement. 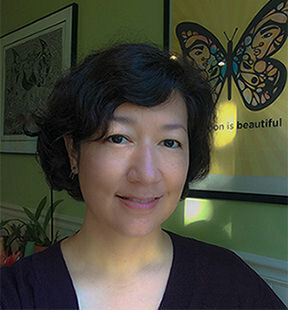 Yoshitani said it’s no mistake that people of color too often find themselves at the nexus of poverty, pollution, and racism. Use the fast forward to hear the story of the Laotian refugee community’s fight at 26:00 into the podcast. As we approach one of the more urgent Earth Days in recent memory, we can use all the inspiration we can get. The Trump administration’s aggressive climate-denial stance has the country going backwards, ignoring the science, and diminishing our leadership role as Trump slashes billions of dollars in global assistance funds. Don’t leave it up to the scientists to fight your battles. You don’t need to be an expert or a Ph.D to know your air and water are bad. As Yoshitani says, you just have to be willing to speak up and demand the quality of life you deserve. The Laotian refugees in Richmond did. Listen to Episode 10 on Earth Day on the AALDEF podcast, Emil Amok’s Takeout. 56:00 How Asian Americans can fight the environmental racism in their lives.